I lived through Katrina and I witnessed the fiasco that was Maria last year…..plus I dealt with a near miss this year and now yet another storm is headed for the US but this time it is headed for the Southeast Coast of North and South Carolina….. The reports are that over a million people have been evacuated from the Coastline….and that the state has 80,000 gallons of water, about 400,000 meals, 34 generators, and other supplies….. I may not be a math genius but supplies on hand and people that will be in need….the math does not work. My thoughts and prayers are with the people in the path of this storm…. I like to close with Jimmy Buffet……. Nowadays we do not hear the Monroe Doctrine being used as it had been in the past. It was referenced when the US invade Grenada, it was quoted when the USSR put missiles in Cuba, and it was used to start a war known as the Spanish-American War. The document is not quoted much these days so most Americans have little idea what it is and what it is suppose to do. Monroe Doctrine, (December 2, 1823), cornerstone of U.S. foreign policy enunciated by Pres. James Monroe in his annual message to Congress. Declaring that the Old World and New World had different systems and must remain distinct spheres, Monroe made four basic points: (1) the United States would not interfere in the internal affairs of or the wars between European powers; (2) the United States recognized and would not interfere with existing colonies and dependencies in the Western Hemisphere; (3) the Western Hemisphere was closed to future colonization; and (4) any attempt by a European power to oppress or control any nation in the Western Hemisphere would be viewed as a hostile act against the United States. The doctrine was an outgrowth of concern in both Britain and the United States that the continental powers would attempt to restore Spain’s former colonies, in Latin America, many of which had become newly independent nations. The United States was also concerned about Russia’s territorial ambitions in the northwest coast of North America. As a consequence, George Canning, the British foreign minister, suggested a joint U.S.-British declaration forbidding future colonization in Latin America. Monroe was initially favourable to the idea, and former presidents Thomas Jefferson and James Madison concurred. But Secretary of State John Quincy Adams argued that the United States should issue a statement of American policy exclusively, and his view ultimately prevailed. What are the basic tenets of the Doctrine? …the Monroe Doctrine laid out four basic tenets that would define American foreign policy for decades. The first two promised that the U.S. would not interfere in the affairs of European states, be they wars or internal politics, and that the U.S. would not interfere with European states’ extant colonial enterprises. In exchange, it stipulated that the Western Hemisphere was no longer open to further colonization and that an attempt on the part of a European power to colonize territory in the Western Hemisphere would be understood by the U.S. as an act of aggression. The Trump administration dabbled in aiding a military overthrow of Venezuela’s president but ultimately just met with coup plotters—a development that could still anger Latin American leaders wary of any possible US intervention, the New York Times reports. Seems American officials met with Venezuelan military officers at least three times abroad and listened to their plans, however vague, to kick out President Nicolás Maduro and install a transitional government. But according to those involved, the US never gave them the encrypted radios they requested and backed away when roughly 150 plotters were arrested in a crackdown. Apparently the whole thing began with an off-hand remark by President Trump. “We have many options for Venezuela and by the way, I’m not going to rule out a military option,” the president said at his Bedminster, New Jersey, golf club last year, the Guardian reported. Those words inspired rebellious Venezuelan officers to reach out during the nation’s economic collapse, but US officials say the Venezuelans lacked specific ideas and hoped the Americans would offer a plan. According to an ex-military commander in Venezuela, the US dallied while coup plotters waited: “We were frustrated,” he said. No coup attempt happened, but the meetings could remind Latin Americans of past interventions like the US-backed Chilean coup in 1973 and support for right-wing Nicaraguan rebels in the 1980s. “This is going to land like a bomb” in the region, says a former US diplomat. After the collapse of Chavism, which way will Latin America turn? It wasn’t long ago that Venezuela, led by a fiery caudillo and dedicated to spreading its brand of populist super-socialism, boosted allies’ economies near and far with petrodollars. Hugo Chavez was spreading his Bolivarian revolution all over and times were good. The original document has been used to intervene in the affairs of countries in the Western hemisphere…..time to set a new set of rules for intervention…..avoid at all costs. As most visitors know is that I spend a lot of time reading and writing about the Middle East. The one country in the region that should be our closest ally is Kuwait. I realize that a good portion of my readers are young and may not be aware of why Kuwait should be our closest Middle East friend. 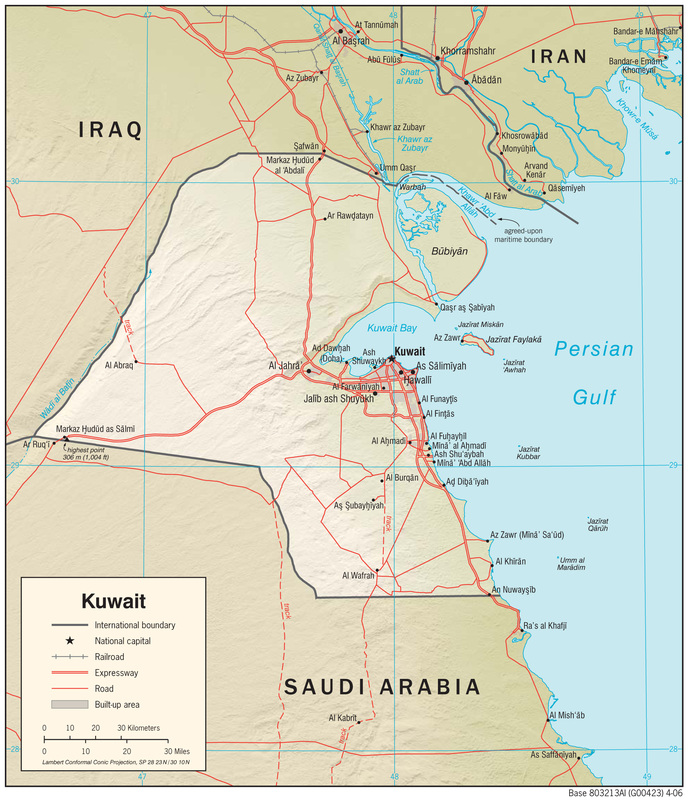 I shall give a short history…..after Iran/Iraq signed a ceasefire from their 10 year war….Iraq’s Saddam turned his attention to his mneighbor to the South, Kuwait. On Aug. 2, 1990 Saddam Hussein invaded Kuwait, his small neighbor to the South and set in motion a chain of events that would impact America and the rest of the world forever. Within mere days, Operation Desert Shield was in full swing with U.S. Military Personnel streaming into Saudi Arabia. Over the next 6 months the buildup of U.S. forces would total close to 700,000 Americans. On January 16th 1991 Operation Desert Storm was launched following Saddam Hussein’s refusal to heed U.N. Resolution 678 by refusing to withdraw his Iraqi forces from Kuwait by January 15, 1991 deadline. After a more than four weeks of relentless bombardment by U.S. and coalition Air Strikes, the ground phase kicked in and was completed in an astounding 100 hours! The US went to war to get some justice for Kuwait and the events that followed Iraq’s invasion. It appears that Kuwait is pulling a way from the US and towards the nations of Iran and China….. The relationship with Kuwait should be one of the United States’ strongest, but it is starting to fray. There’s still time to set it right, and the Kuwaiti Emir’s visit to Washington last week was a good start. Meanwhile, however, investors remain on edge, as they have been ever since officials in this Gulf state froze millions of dollars in American and international assets without any clear explanation. Candidly, there’s a lot going on in Kuwait that’s suspect. The regime seems to be cozying up to Iran and China, officials have made remarks about Israel that are just short of incendiary, and corruption surrounding the delivery of supplies to U.S. troops stationed there has been highly disruptive. Americans, it seems to me, have the right to expect better from those whom they saved by leading an international intervention after their country was invaded by Saddam Hussein. This is the thanks we get for helping Kuwait regain its country from the hands of Saddam. Just another reason for me not to like the idea of the US going to war to “help” our friends. It has slipped from the news with all the antics from the man in the Ivory Tower….but Syria is still as deadly as it has been for damn near a decade….. These days the news is more about Russia and the possibility of US troops having to fight the Russians in Syria……. As things in Syria seem poised to heat up dramatically in the coming weeks,CNN has reported that Russia has warned the U.S. that the Russian and Syrian militaries are prepared to launch an offensive on the Al-Tanf military base in Syria, an installation that has been controlled by the U.S. military since 2016. This would not be such a good idea……Syria is volatile and to the point that the US and Russia could come to a huge push and shove…. Following Thursday’s report that Russia had recently informed the US of planned military operations against terrorist groups on the Syria-Jordan border, a company of US Marines conducted a live-fire exercise in the same area. Officials say it was intended to be a “warning” to Russia. The exercise took place near the US base at al-Tanf, at the corner of Syria’s border with Iraq and Jordan. Though the US no longer really has any rebel allies in the area, which was the initially point of the Tanf base, the US does regularly attack any pro-Syrian forces who get too close. The proximity of Islamists, especially al-Qaeda-linked groups on the Jordan border, has pretty much been ignored by the US. The possibility that Russian and Syrian forces might take care of those groups has infuriated the US, and led to threats of force. Syria is not gone and it is definitely not forgotten…..like all our small wars…..it could take one small screw up to turn it deadly and all encompassing.